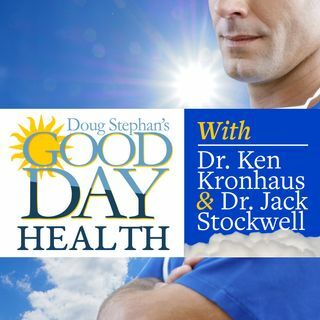 Host Doug Stephan and Dr. Ken Kronhaus discuss a new study that indicates that your physical activities may be controlled by your genes. Next, news that eating raw cookie dough may cause illness through living bacteria. Do you know when is the best time to drink your coffee and that Vitamin D could help prevent colon rectal cancer? Learn the best foods to fight Cholesterol. Plus, lots more information about maintaining your Good Health.